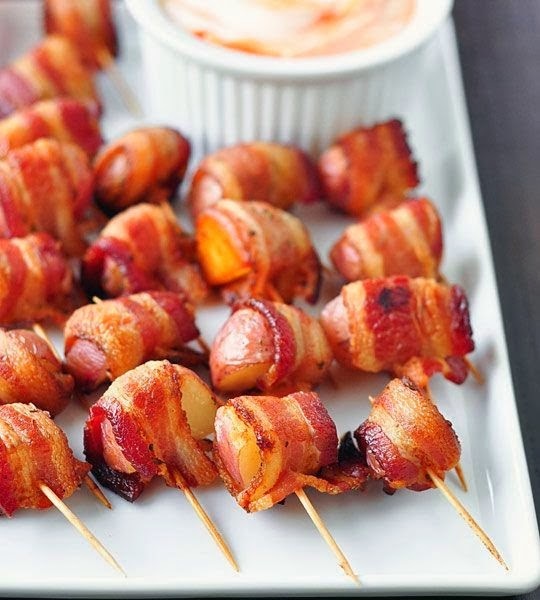 Those are also very, very yummy, but we started thinking about other things we could wrap in bacon. Potatoes? Potatoes could be perfect. And cheap. If you can find tiny new potatoes, those would be even more aesthetically precious. But chunks work fine, too. Just be sure to dice the potatoes smaller than you might think. We found that the smaller chunks actually had a better potato-to-bacon ratio. They were dangerously poppable.